Cleaning your yard by sweeping or raking is quite exhausting sometimes. Instead of those traditional way, you can use a leaf blower which is not only convenient but also time and effort- saving. Leaf blowers use force of air to propel unwanted particles from driveways, sidewalk, lawn, year, etc. They are really effective in landscaping, from small to large area. According to your needs, you can choose among electric or gas- powered models. They come in different styles: handheld, back-pack or wheeled. To me, the most important factor when buying a new leaf blower is its power. If you think the same, congratulations, this article is for you! I’ll recommend you the 5 most powerful leaf blowers for home use that won’t break the bank! Sounds great, huh? Let’s begin! Driven by electric motors, electric blowers are lighter, quieter yet less powerful than their gas-powered counterparts. They are environment-friendly, easy to start and require less maintenance. There are corded and cordless versions. Corded leaf blowers are suitable for small areas where there aren’t many obstacles. It’s not a good idea for a garden with a lot of trees. They are range restrictive as you are tethered to an electric outlet. You can buy extension cord with the maximum length of 150ft. These leaf blowers are best for hard surface and places near the house like patios, driveways and decks. For more mobility, you can turn to cordless leaf blowers. They can be used in various terrains: from yards, gardens, driveways, decks to gutters or roofs. They are ideal for yards or lawns from small to medium. Similar to corded versions, they work best on solid surface. They are limited on runtime and need charging before operation. If you wish to work in a larger area, consider buying spare batteries for longer operation. Gas powered leaf blowers are heavier, louder but more powerful than electric ones. They are not restricted by range or runtime so they are suited for large areas. There are handheld, backpack and walk behind models. A handheld gas-powered leaf blower offers mobility like a cordless one but it’s more powerful. It can deal with large gardens of up to an acre provided that you can handle the weight. It’s also a good choice when you have a lot of leaves or debris. Back-pack leaf blowers bring not only mobility but also comfort. Although they are usually heavier than handheld models, the weight is distributed among arms, back and hip so it’s more comfortable to operate. Walk behind models bring the ultimate power among other types of leaf blower. However, they are less maneuverable than back pack or handheld ones. They require a lot of maintenance and storage space. Different nozzles for different types of leaves and tasks. Cord holder is not very good, easy to unplug. The leaf collection bag doesn’t last long. Included Attachments Power insert, concentrator, oscillating nozzle, shred ring. Toro 51621 weights 8.9lbs, which is not really light but thanks to the distribution of weight, most you can handle it comfortably without strain. It’s a 3 in 1 machine that blows, vacuums and mulches. It’s powerful with the maximum air speed of 250 mph and can move up to 350 CFM in blow mode and 410 CFM in vacuum mode. There are three nozzles for specialized needs. In addition to the main tube, you can attach a power insert, a concentrator or an oscillating nozzle for specific tasks. The power insert narrows the end of the blowing tube, which generates stronger air force. You can use it to move wet leaves, heavy debris or pile them up into heaps. The concentrator is narrower than the power insert so it creates stronger flow of air. It can clean corners or crevices well. The oscillating nozzle is a noticeable feature of this leaf blower. Instead of direct and centered air stream the air goes from left to right which results in a wider blowing path. In conjunction with the high speed air flow, it cleans your area effectively and quickly. This machine is even more versatile with variable speed control. You can turn up the speed to move stubborn debris or turn down the speed to build up the pile without blowing it over. The Shredz- All shred ring and the metal impeller shred leaves and debris into fine mulch. Toro claim that it can reduce up to 97% leaves into pieces of less than ½ inch. The mental impeller can shred twigs and even acorns or pine cones but in the long term, the impeller can be damaged. You should pick up big stones or metal debris before vacuum to protect the impeller. The leaf collection bag has bottom zip, making it easy to dump the mulch. In spite of the good design, the bag is not durable, both the stitching and the material. While in vacuum mode, it releases a lot of dust. You may want face and eyes protection as there is a constant stream of air and dust from where the bag is attached. The cord is only a couple of feet long so you need to buy an extension cord. You will need a heavy duty core and do not use an extension core of more than 150ft long. The cord holder doesn’t work very well. You need to be careful not to unplug it. For some people, it can be too powerful to handle because it causes slight vibration at highest speed. Battery can be charged up fast. Variable speed control with simple button. Unbalanced due to the heavy battery. No strap included causes strain after long use. Greenworks PRO 80V is a powerful but quiet electric blower. It’s equipped with a brushless motor that is equivalent to a 32cc gasoline engine. The maximum air flow level is 500 CFM and maximum air speed level is 125 MPH. It’s powerful enough to handle most of yard and garden work. You can use it inside the house as well, for example cleaning cobwebs off furniture. The brushless motor delivers greater efficiency of power transfer so it’s lighter than a brushed one. The lack of brush in the motor increases durability as well as power and performance. It produces low noise, only 60dB, quieter than most corded counterparts. You don’t have to worry about wearing ear protection or driving your neighbors crazy. There are 3 settings: Low, medium and high. With variable speed control, it comes in handy for different needs. At low speed, it can blow dry leaves of high piles, at high speed, it can blow away wet and heavy leaves, acorns, walnuts or stones. One downside is the battery life. It drains so quickly at high setting, just in 20 minutes. Good news is the battery just needs 30 minutes to fully charge. It weighs 8.2lbs with battery but the battery is put close to the rear which makes it unbalanced and tire your arms quickly. Reduces stress on wrist and arm. Not suitable for left-handed people. Must be careful in the use of fuel. If you’re looking for a gas-powered leaf blower but not a heavy and bulky one, Husqvarna 125B is for you. It’s compact and slimmer than most gas-powered leaf blowers. It weighs 9.4lbs which can be handle comfortably even for women or senior people as long as you don’t prolong use. The blower tube is engineered to be in line with the handle to reduce stress on wrist and arm as well as rotational force on the wrist. In spite of the light weight and ergonomic design, your arms and wrist still suffer after one hour of use. To avoid this inconvenience, I highly recommend a shoulder strap. The fan located on the right is a big advantage for right-handed people. They no longer have to worry about getting their clothes sucked into the fan. 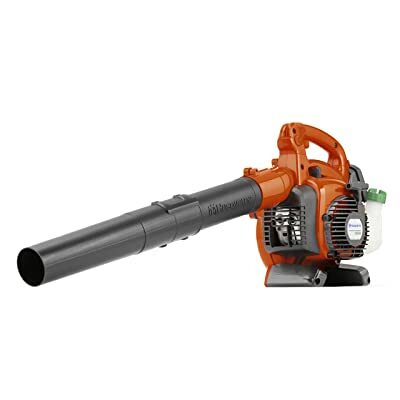 With the air volume up to 470 CFM and maximum air speed up to 170 CFM, this leaf blower is powerful enough to blow off almost all types of debris, from wet leaves to tree twigs or gravels. It’s most suitable for medium gardens. The noise level is 94dB, so you need to protect your ears with hearing protection. There are two nozzles included: a circular and a high velocity for different needs and tasks. Along with options on blowing tubes, variable speed control allows user to adjust air speed and power up to their needs. It has a cruise control that maintains a constant speed, this feature is helpful if you have a large area. To avoid any unwanted problems, never use Ethanol gas for this blower. Ethanol damages the 2 stroke engine by separating the oil from the gas, causing rust, carbon buildup and premature ignition as well as harming plastic parts and hoses. X Torq engine reduces emissions and increase fuel efficiency. Ergonomic build, comfortable to handle. A little hard to assemble. Husqvarna 150BT is among top homeowner’s grade and entry level of commercial grade. It weighs 22.5lbs, which is light among backpack leaf blowers. Thanks to its ergonomic design with load-reducing shoulder, belt and chest strap, the force is applied evenly. LowVib dampeners between the engine and chassis lessen vibration to prevent your arms and back from tiring. Most users feel balanced and comfortable using it for long periods of time. The X Torq engine patented by Husqvarna is claimed to reduce the amount of fumes up to 60% and increase energy efficiency up to 20%. The powerful 50.2 cc engine together with efficient fan design bring high air speed and air stream. The maximum air velocity with blower nozzle is 215MPH, with concentrator nozzle is 251MPH. The maximum air flow using blower nozzle is 431CFM and 191CFM using concentrator nozzle. During operation, variable speed throttle and cruise control make your work much easier. There are a blower nozzle and a concentrator nozzle included, if you want higher pressure, you can purchase a flat nozzle as an accessory. This leaf blower produces noise level of 94dB. Always wear hearing protection that has adequate noise reduction. Hursqvarna 150 BT is CARB compliant, which means it’s in compliance with California stringent regulations on the levels of harmful emission from internal combustion engine. Able to redirect the air flow toward the front of the unit. 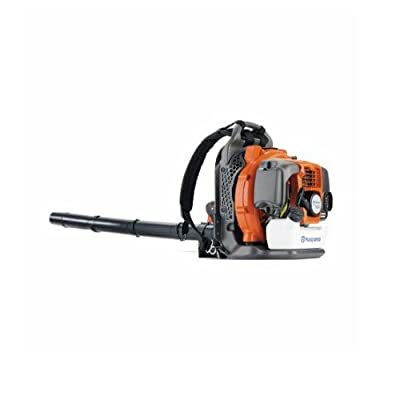 Southland SWB163150E Leaf Blower is a powerful walk-behind leaf blower which is suitable for commercial use or large properties. This unit features a 4 cycle, 163cc OHV engine that is capable of utilizing 6.5-Foot/Pound of torque, generating an air volume of 1200 CFM with maximum speed of 150 MPH. 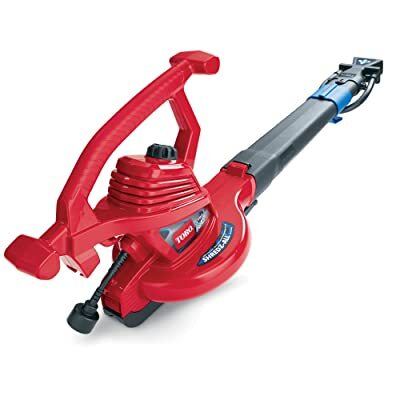 It’s 3-4 times more powerful than a backpack leaf blower. It can meet any demanding tasks. The fuel tank can hold up to 0.875 gallons of gasoline. You can operate it for long periods of time without refilling. The well- designed steel fan is balanced, which reduces vibrations. It’s connected to a tapered crankshaft to increase strength and durability. The flow angle is adjustable for better control of air flow. There are 3 positions: level, 15 degrees up and 15 degrees down. If you want to change the air stream direction to the front, use the front flow attachment. This walk behind leaf blower has 12inch rear wheels and swivel front wheel for maximum maneuverability over rough terrains. The swivel wheel can steer 360degree, which is similar to a wheel barrow’s. The steel padded foam handle is durable and provides comfort over prolonged use. How can I measure the power that a leaf blower generates? Any currently available leaf blowers on the market would come with two indicators that are used to measure the performance: CFM (cubic feet per minute) and MPH (miles per hour). You can easily find them on the equipment, the packaging or the booklet that comes with it. And here is what each of them means. CFM shows you the air volume that the leaf blower can generate in 1 minute. For example, the Toro 51621 UltraPlus we have mentioned above has a power of 350 CFM, meaning they can blow away 350 cubic feet of leaves and debris in 1 minute. When you are shopping for a good leaf blower, always remember to prioritize the CFM number. This indicator is the most important one deciding whether or not this machine will do the job neatly and effectively. Well, this one is straightforward to understand. A leaf blower that has an MPH of 150 can push, say, one flower petal away 150 miles in an hour, considering the burst speed is stable. However, this is just the second most crucial factor. And the reason for that is because when a model has high speed but generates not that much air, the productivity will be lowered considerably. So, the trick here is that you need to find one that has a suitable CFM number when shopping for leaf blowers. The other indicator will fall in place on itself. It depends a whole lot on the size of your property or the job you want to get done with this device. 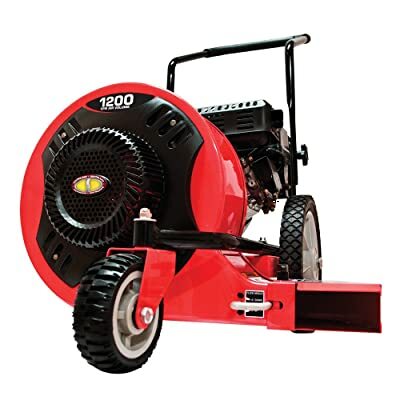 If you are a regular homeowner, who wants to clean their driveways or patios, go for something between 200 to 400 CFM. Also, for this type of work, we recommend you to purchase an electric leaf blower instead of gas-powered ones. If you are covering properties that are acre (4047 square meters) or more, you need something from 400 to 700 CFM. A little side note for you is that leaf blowers feature such an air volume usually come in the form of backpack ones. And when we are talking even more heavy duty jobs, some beasts also go up to 3000 CFM. And of course, there are no other designs that suit these better than the gas-powered push behind one. However, you should remember that the more powerful the equipment, the noisier. So, if you are getting into some intense industrial cleaning with leaf blowers, be sure to check with any noise ordinances in populated areas. You don’t want to get into troubles for some deafening cleaning job. How loud is a leaf blower in decibels? As we have mentioned right above, different leaf blowers have different noise levels. However, we must say that this is a pretty powerful landscaping device. When at the distance of 50 feet (15.2 meters), they range from 64 to 78 decibels. To the operator’s ears, they can be from 95 to 115 decibels. Professionals have warned that being exposed to anything that goes over 85 decibels increase your risk of hearing loss. This means you have to wear hearing protection when handling these guys. Also, you want to make sure you are not breaking any bylaws by using such a loud machine in a populated neighborhood. So, be extra careful when you are recruiting the help of this tool. Of course, it is possible to remove wet leaves from your beautiful yard with a leaf blower, as long as you get a powerful enough model to do the work. The air stream must be adequately strong to lift the leaves off the ground and move them around. Can I use an electric blower for commercial cleaning? Well, the answer is both yes and no. This depends on your situation such as the area you need to cover, the type of cleaning that you are going for and your budget as well. 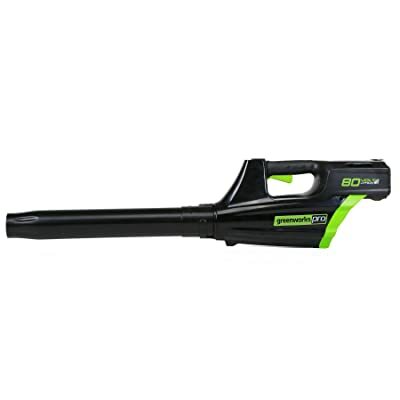 You are most likely to see a gas-powered leaf blower in commercial cleaning rather than the other kind. However, an electric one can work just fine, sometimes even better if the condition allows. For example, if the service that you wish to offer is household cleaning, electric leaf blowers are 100% easier to maneuver. Plus, they are not as noisy as the other one. So, this is a highly situational matter that you can make the final decision easily with careful watching and thinking. Do I need to wear any safety equipment when using a leaf blower? Since leaf blowers are often categorized as heavy landscaping equipment, you need to wear suitable attire when handling them. First off, arm yourself with hearing protection (either earplugs or earmuffs), heavy-duty work gloves, goggles that meet eye protection standards and a dust mask (or a respirator) as well. All of these are essential items that you need to have in every session when you put a leaf blower to use. Next off, to avoid unwanted accidents, you should never wear something that can get in the way of the air intake or outtake. These might include scarf, necklace and even unconfined long hair. You don’t want to get into accidents just from those little things. What are some leaf blower safety tips that I need to follow? Now that you know what to wear, here’s the most common dos and don’ts when people are dealing with a leaf blower. Work on a stable surface. You don’t want to maneuver a blower on a ladder, rooftop or tree. Instead, if you want to reach a higher spot, get a nozzle attachment for the tool. Do not misuse leaf blowers to clean something that is warned against. This group includes gravel dust, construction dust, dry garden topsoil, plaster dust, and concrete dust. So, remember to keep your device away from these guys. Also, pay attention to your surroundings when using a blower. Never use one indoors or in a poorly ventilated space. Don’t toy with it by pointing them at other people or pets. You can cause severe accidents to others.